Flower bouquets are the perfect gift for any occasion. I love creating beautiful flower bouquets and floral arrangements for all of life’s everyday celebrations. Flowers can set the mood for any special event and are the perfect gift for any occasion. 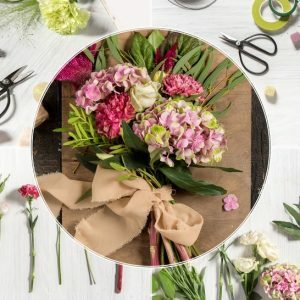 I offer creative floral designs for at-home dinner parties, birthdays, Wedding anniversary, funerals, baby showers, weddings and any other special occasion. Each floral arrangement is individually designed, taking into account your personal preferences for colour, flower type and bouquet style. Due to the seasonal nature and availability of flowers and foliage, the composition of each design will change every month. 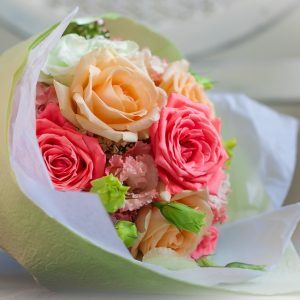 Please ensure that you pre-schedule your flower orders for those special and important dates like birthdays, Wedding Anniversaries and Mother’s day. Each flower bouquet is custom designed with a choice of beautiful colour palettes and three bouquet sizes. The bouquets are either wet wrapped or water boxed for freshness and care during transportation. 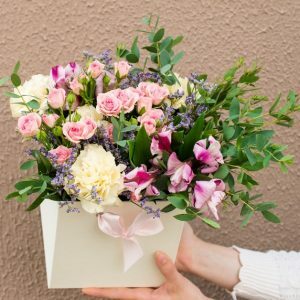 Unfortunately, I am unable to offer same day delivery, so pre-ordering your flower bouquet is essential. Please click here to see more information regarding the flower delivery service . 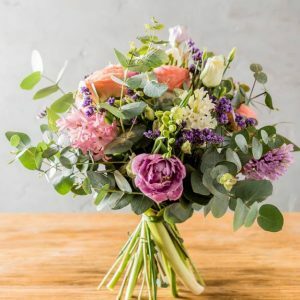 If you would like to order a beautiful bouquet of flowers, please give me at least two days notice as I don’t have a shop and visit the flower market twice weekly. Please click the photo to see more information. 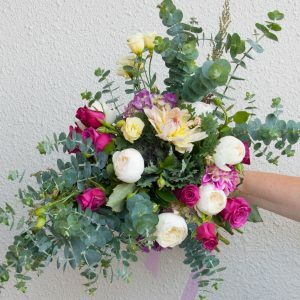 Harbour Rose Florist offers a free delivery service in the Beachlands, Maraetai and Whitford area of Auckland. Please click here for more information regarding the deliveries and the free delivery zone.